Musk oxen go by a single name, though it has various spellings. 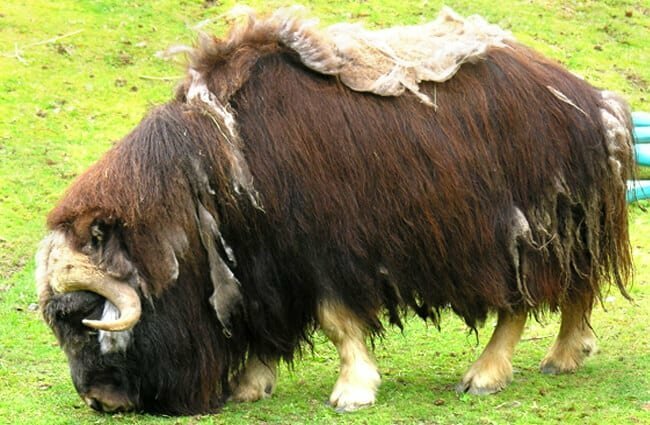 The other common spellings are “muskox” and “musk-ox.” These large, shaggy beasts are members of the Bovidae family. 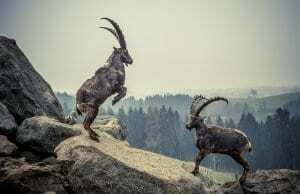 Other members of the Bovidae family include cows, sheep, goats, water buffalo, wildebeest, and more. 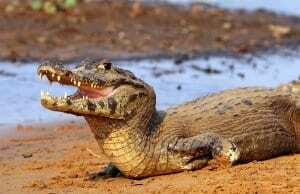 Their name comes from a deep, musky stench that males use to attract females. 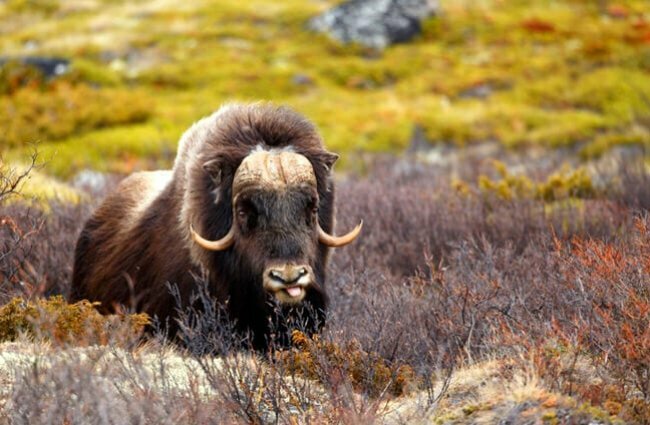 Read on to learn about the musk ox. These shaggy bovines have a very distinctive appearance. They have very thick, shaggy coats, which protect them from the harsh weather in the Arctic Circle. Upon their heads, musk oxen have long horns. 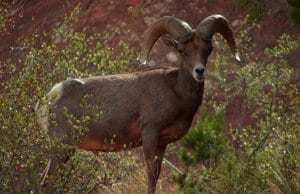 These horns droop down over the head, and then curl back upward towards the sky. Overall, their bodies are incredibly large, and they can stand up to five feet tall at the shoulder. Musk oxen are odd-looking, but incredibly hardy, creatures. They are well adapted to survival in the frigid Arctic, and have quite a few interesting characteristics and adaptations to help them survive. Ox-Wool – Having such a thick fur coat can really turn some heads. Humans have even domesticated these creatures to harvest their soft wool. Indigenous people in the Arctic Circle call this wool “qiviut” (pronounced kee-vee-uh t). The price of yarn from musk ox wool can exceed $80 per ounce! 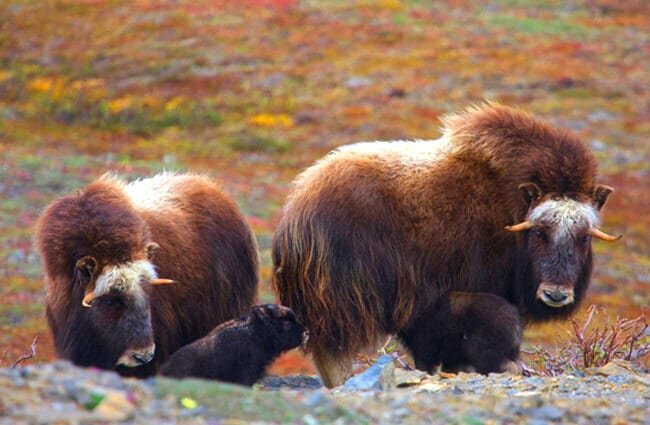 Sexual Dimorphism – Male and female musk oxen are usually different enough to tell the difference between the two by looking at them, also known as sexual dimorphism. 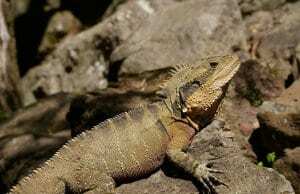 Males can be nearly two feet longer than females, and are usually much larger. Horn Helmet – One musk ox trait that is not sexually dimorphic is their horns. Both male and female musk oxen have formidable horns. The large mammals use these long horns to protect themselves from predators. These large mammals live in just a few habitats, all of which are within the Arctic Circle. They roam along the Arctic Tundra, and their exact habitat preference varies based upon the season. 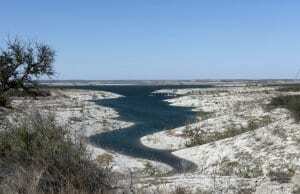 In the warmer summers, they move down into river valleys and wetter habitats. When the cold weather arrives, the oxen move to higher ground so they can avoid deeper snows. In areas with deep snow, it is more difficult for the animals to reach the grass and plants buried below. Musk oxen live only in the Arctic Circle, the northernmost reaches of the earth. 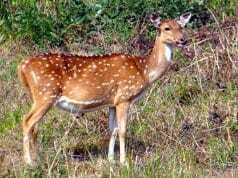 Humans have hunted them to extinction in a variety of their former ranges, but they have also reintroduced them in some locations. There are a series of small populations spread around the Arctic Circle. These oxen live in Alaska, Greenland, a number of islands, Norway, Sweden, and various portions of Russia. Finding food in the cold regions of the Arctic can be quite difficult. To find food, musk oxen must dig beneath the snow. Because digging takes up energy, during the winter the mammals avoid areas with deep snow. Some of the food that they find beneath the snow includes grasses, mosses, lichens, Arctic willows, and small shrubs. 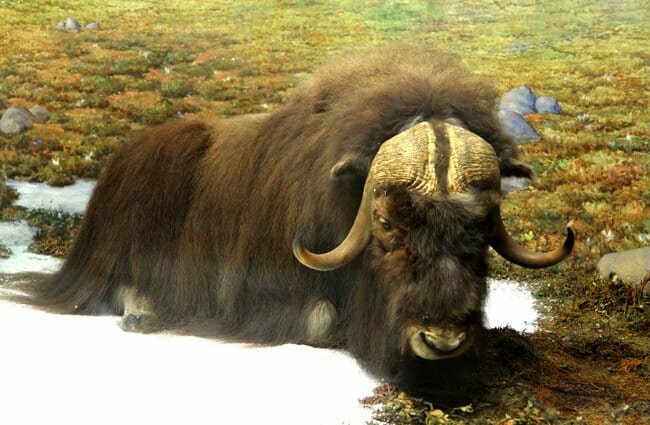 Sadly, humans wiped out many different populations of musk oxen across their range. The most direct human influence was hunting. Humans hunted the oxen for their meat and fur. Unfortunately, hunting is not the only human influence on these creatures. Climate change causes declines in musk ox populations as well. 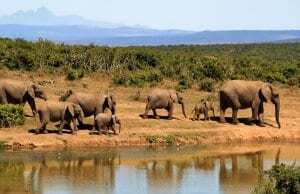 Thankfully, reintroduction programs and conservation efforts have allowed the population as a whole to bounce back. The IUCN lists the musk ox as Least Concern. Humans have domesticated musk ox. 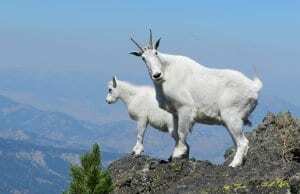 Humans have been selectively breeding one herd in Alaska since the 1950s. The primary reasons that people keep these animals is for their wool, milk, and meat production. 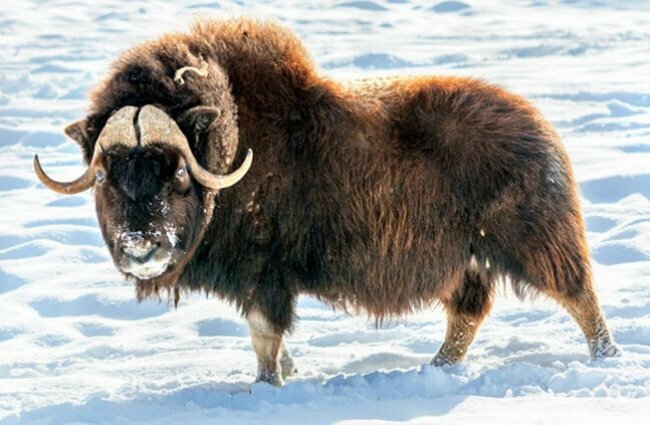 No, musk oxen do not make good pets. Even if you happened to live in a suitable environment (think northern Alaska), they simply do not make good house pets. 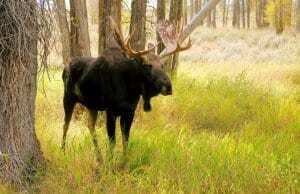 They are incredibly large animals, and could easily injure you. 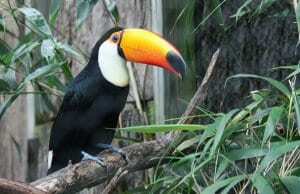 Care in zoos and on farms is similar to that of other bovines, with the exception of habitat. They do best in colder environments, but can acclimate to warmer climates. Musk oxen live in herds, and keepers provide the herds with plenty of space to roam and graze on grasses. Of course, keepers also provide the animals with additional food, in the form of hay and pelleted feed. These large mammals breed successfully in farm and zoological environments. 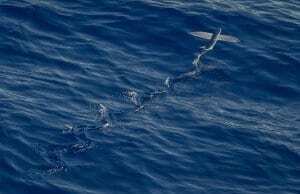 These social animals live in groups, called herds, which can have up to two dozen individuals. Within the herds, the older animals are the most dominant, and the younger animals are the least. 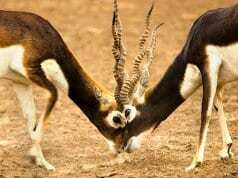 They fight amongst themselves to establish a dominance hierarchy, which they use to pick who gets the best food. When breeding season rolls around, males grow particularly aggressive. The most dominant male will drive the other males away from the herd during this time. After fighting off all his rivals, the biggest and strongest male mates with a harem of females. After the breeding season ends, the females take control of the herd. The pregnant females decide where to travel, and how far they will go. 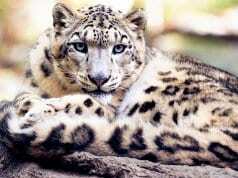 Their gestation period lasts between eight and nine months. The female, called a “cow,” nurses the calf for two months before weaning it. Calves remain bonded to their mothers for two years, and usually remain with their herd for an extended period.